Mr. Spagnolo joined Strategic Capital Allocation Group in 2013. A key member of the entrepreneurial team, he has played an instrumental role in the firm’s investment and asset allocation research, due diligence, client management and commercialization of the business. 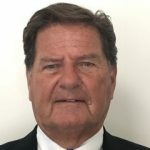 Mr. Spagnolo also serves as a Portfolio Manager of SCA’s alternative investment solutions, overseeing the development, implementation and trading of quantitative investment strategies. His prior experience consists of cross asset class investment modeling and asset allocation product research for Bloomberg L.P. in New York. 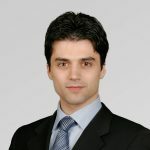 Mr. Spagnolo is an MBA Candidate at Columbia Business School with research in statistical modeling and value investing. He received his B.S. in Business Management with a concentration in Global Business Management from Babson College while also attending Sophia University in Tokyo, Japan. Mr. Spagnolo is a CFA charter holder.